The Uffington White Horse near Faringdon on the Berkshire Downs is a prehistoric hill figure, carved out in a minimalist style. It is 374 feet (110 metres) long, and formed from deep trenches filled with crushed white chalk. 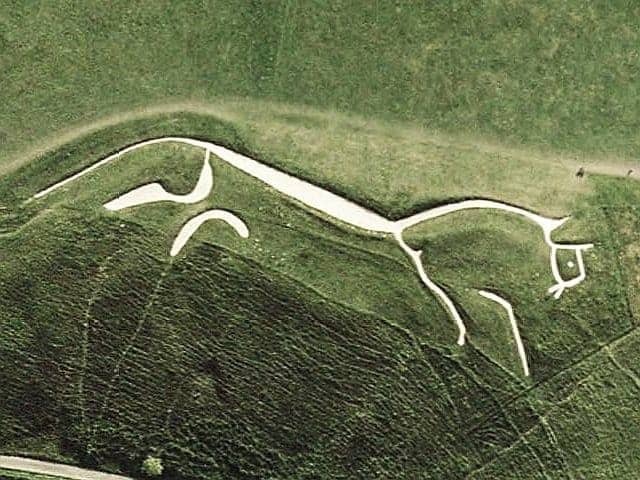 Though it may have been intended as some other kind of animal, it has also inspired the creation of other white horse hill figures seen around the country. The White Horse is situated on slopes of White Horse Hill and is best viewed from around the villages directly across the Vale.